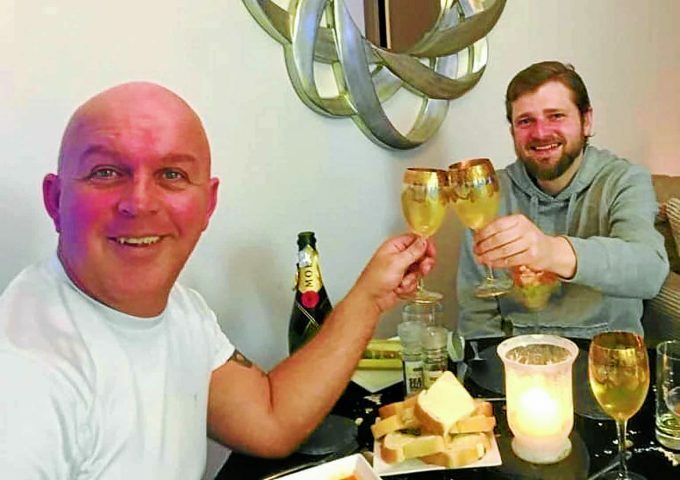 Gary, 40, from Lockerbie went viral in December after he invited Nick, who had been living rough in some woods near Ayr for eight months, to join his family round the Christmas dinner table. But his act of extreme kindness did not stop there. For, the Shanks family invited Nick to live with them and have helped put his life back on track. Gary has warned that he did not simply pick a homeless person up off the street but, instead, was put in contact with Nick and given assurances that he was not an alcoholic, suffering from substance dependency or in need in need of mental health treatment, just simply a man who had fallen on hard times and needed help moving forward. Gary said: “It wasn’t a spur of the moment decision, myself and my partner slept on it and we were obviously cautious about who we invited into our home. And do it right they did, for Nick stayed in the couple’s Lockerbie home for three weeks, eventually flying home to the USA, after Gary helped put him in touch with friends and secure work. But before he departed, Gary and his partner, who would prefer not to be named, ventured to Scotland’s capital with Nick for a day of sightseeing – which quickly turned to an even more meaningful day out. Gary said: “Plans of sightseeing changed when we saw the homeless people on Princes Street. “We put our time and energy into helping some people up and down Princes Street handing out food, hot drinks and warm winter wear. Nick is now settling back into life in the USA but big hearted and proactive Gary will not be resting, not when there’s so much more help he could be providing. This week he has dedicated much of his time to collecting and handing out tents and other essentials to Scotland’s homeless, as the country braces for extreme weather. He said: “Severe weather is on its way. This is a reality for some people right now. Encouraging others to help make a difference, Gary said: “I used to sit back but if we all sit back nothing will change so I decided to step forward myself.